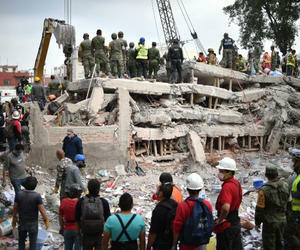 Cuban president Raul Castro sent a message of condolences to his Mexican counterpart Enrique Peña Nieto for the victims and devastation caused by a strong earthquake on September 19. According to the Cuban embassy in Mexico, Raul sent the message via email, and they took it to Ministry of Foreign Relations. In it, the Cuban president expressed the solidarity of Cuba with the Mexican people and government and its disposition to contribute to the recovery process. At last count, 279 people died in the quake that happened 12 days after another one hit the Mexican states of Oaxaca and Chiapas, killing dozens of people.